Originating from Ghana these Millipedes come in slightly smaller than the Giant African Species. They love to much on rotting leaves and bark and will also enjoy a range of soft fruits and vegetables. Contrary to popular belief the name Millipede refers to the latin word Milli meaning 1000 and pede meaning feet. 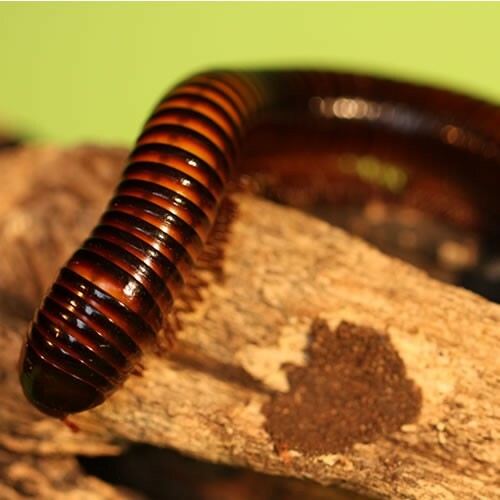 The amount of legs depends on the species and age ranging from 100 to 400 tickly feet.If attacked or in danger the Millipede secretes an irritating toxin which deters predators from eating them. Don't lick them!